As anyone who’s attempted to build a career within the creative fields is all too aware, the path to success is far from a straight line. Initial victories can (and often do) give way to lengthy fallow periods which leave you questioning the sanity of staying the creative course. Bringing this bittersweet reality home over 73 (at times heartbreaking) minutes, Matt Hopkins and Ben Lankester’s feature documentary A Divorce Before Marriage follows five-piece rock band I Like Trains. A band who despite a dedicated following of fans and early record deal success have now found themselves most definitely ‘stuck in the middle’, without the backing of a label and working day jobs as they attempt to finally breakthrough in a stagnant music industry. Matt and Ben join us on the podcast to discuss how they followed the band members for over three years in order to capture this first-hand view of the struggle to succeed. 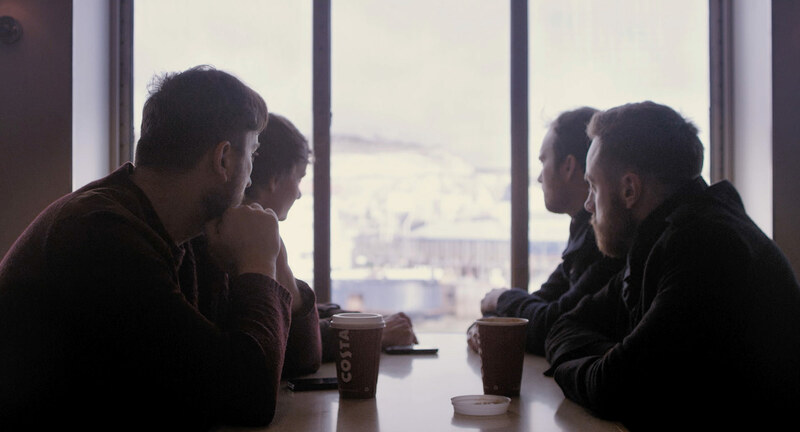 Following the loss of their record deal, A Divorce Before Marriage documents the lives of Leeds’ rock band I Like Trains as they navigate a brave new world. Capturing the timeless, bittersweet beauty of Yorkshire, this is a cinematic portrait of five men battling to express themselves against the detritus of everyday life. Moreover, it is a film about the wannabe rockstar finally growing up, a rite-of-passage documentary that will strike a chord with any creative individual battling with the strains of becoming an adult in contemporary Britain.